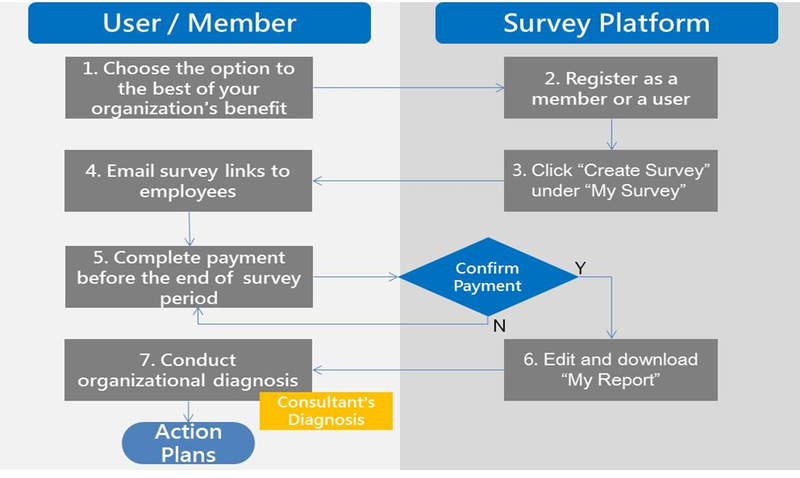 Conducting the Organizational Health Check is a simple process. Everything is accessible and manageable on our open platform. Once the survey is done, edit the report under "My Survey", and download under "My Report"